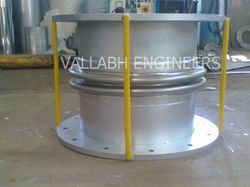 The offered range of Industrial SS Bellows are duly tested on various quality parameter by our experts. These industrial metal bellows are available at leading market prices and are developed and designed keeping in mind the safety requirements. Further, these are resistant to corrosion and rust. We are the trusted name in offering wide range of Stainless Steel Bellows, these are manufactured from high grade material. 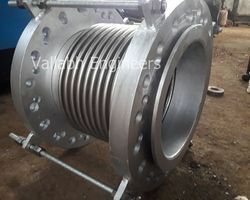 Stainless steel bellows units for stress-free pipe installation and for avoiding transmission of vibrations, for gas, air and water, with restricting orifice. These are available at very reasonable price in market. We are one of the pioneering names in manufacturing and supplying of Hinged Bellows, these are highly appreciated by our client for their unmatched quality. These Bellows are widely demanded by numerous industries for precision operation and longer working life. 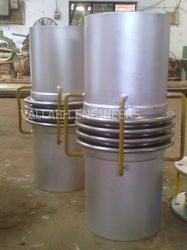 We offer our bellows in the different specification as per the clients’ requirement. Circular Bellow offered by us are available at very reasonable price in market. These are duly tested on various quality parameter by our expert team. The offered range of bellows is extensively used in generators, pumps, vacuum proms, furnaces, compressors, chilling plants and blowers in different industries. Our range is widely acclaimed for its optimum quality and reliable performance. 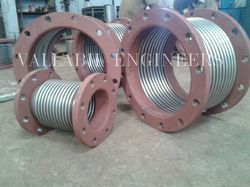 We are engaged in manufacturing and supplying of Welded Metal Bellows. These are designed using quality material which is shock absorbing and resistant to corrosion and wear and tear. In addition to this, these expansion bellows are equipped with rods which enable it to perform multitasking and give it flexibility. These are in huge demand across the industry. We are offering wide range of Metal Bellows to our client at very reasonable price. 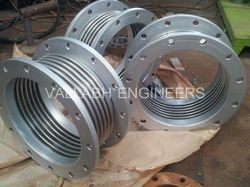 These bellows are available with pipes or flanges and are known for the features like dimensional accuracy, high tensile strength and long service life. 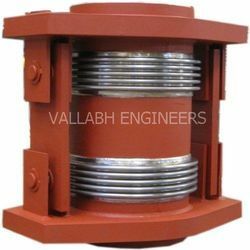 Our offered metal bellows are duly tested by our experts on various quality parameter before delivery. Metallic Bellows manufactured by us are known for their durability, these are duly tested on various quality parameter before delivery. Our range is widely used for absorbing thermal expansion, vibration, differential pressures & torque and handling fine substances and dismantling pipelines. Our range is widely appreciated for quality, efficiency and durability. We offer these bellows at market leading price.